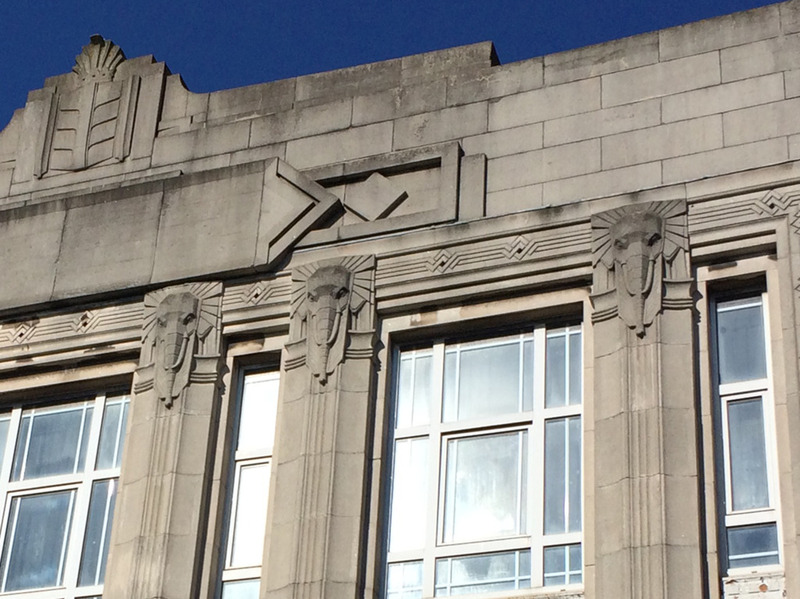 You are here: Home > Burton’s Elephant ! “Burton’s long history in men’s clothing is a remarkable story. It was founded in 1903 by Montague Burton (originally named Meshe Osinsky), one of several Russian Jewish immigrants who built enormously successful businesses from humble beginnings. Burton became a household name because of good public relations and the way it treated its workers. Burton bought shops in the prime town centre spots and were instantly recognisable because of their design. There were few men in England who didn’t at some time enter the portals of a Burton’s “gentlemen’s club” and get measured for a Burton suit. 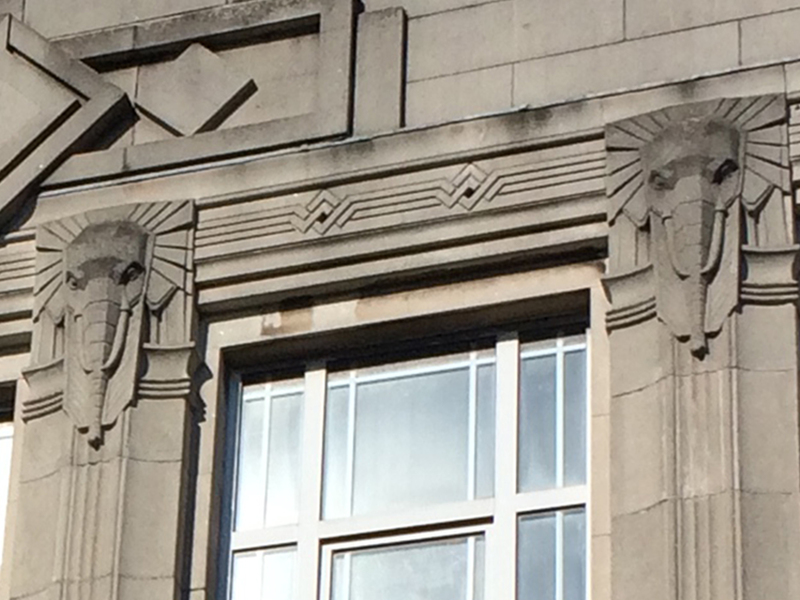 The Art Deco Elephant motif on the building on Halifax Building on Military Road was common to all Burtons buildings throughout the 1930’s. 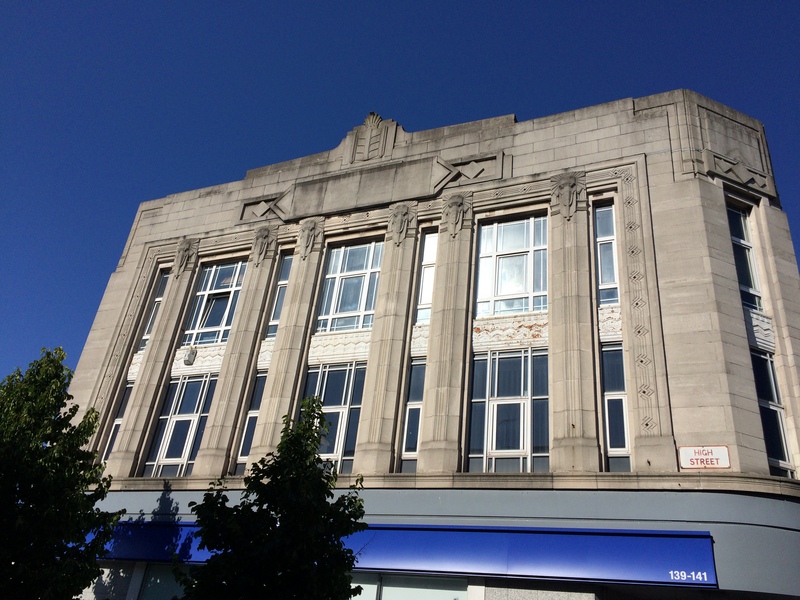 It is a large and significant building in Chatham and one which assists in anchoring our site on the route from the Station to the Waterfront – not insignificantly because of it’s wonderful Elephant motif’s. The saying (now somewhat defunct) of “going for a Burton” also comes from this tailors chain. I am fairly sure that my Father said that at the end of the war when you were demobbed you either got a voucher or money to get a new suit to return to life in “civvie street” and that was known as “going for a Burton”. However, the saying became associated with things like a company going bust or somebody taking a tumble. Or at least they were in our household.